Single racking and labelling solution helps streamline new site. fulfilment services to manufacturers and online retailers trading via well-known channels such as ebay and Amazon. business that can fulfil its slogan of ‘Pride Passion Partnership’. Ian’s background as general manager of logistics company Wincanton meant he provided the expertise to help 3P Logistics secure its first ecommerce customer in 2008, and boost customer numbers to nearly 40, with a peak rise during high seasons such as Christmas. Following a strong 30% year-on-year growth since its set-up, 3P Logistics is attracting new customers each month. This on-going growth meant the company recently expanded its facilities in January 2014 to include a newly refurbished 75,000 sq ft warehouse in Ashton-in-Makerfield, Wigan, containing more than 3,000,000 units and 20,000 product lines. Prior to moving to the new facilities, 3PL operated from three separate sites in Warrington, and managed to relocate with minimal disruption in just four weeks. The move to larger facilities meant an investment in new racking and shelving to ensure any future operational expansion needs would be met. With this in mind, managing director Ian Walker turned to specialist storage and racking solutions provider Wigan Storage Systems Limited, for advice. It was clear from the outset that ASG Services understood our requirement to invest in a solution that meets our needs both now and in the future. create flexibility for the future. 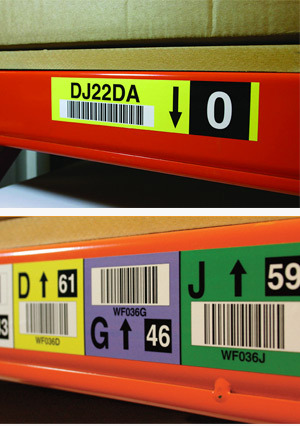 Investment from the outset in colour coded barcode location labelling system was key to consistent scanning and accurate stock put away and retrieval. in a solution that meets our needs both now and in the future.” He was also impressed with how confidently ASG took responsibility from the outset, through installation to completion, and felt confident in their recommendations. “I have no hesitation in recommending Silverback PO+ and ASG Services and look forward to working with them again as we expand,” he concluded. Download the ASG 3P Logistics case study.